Note that some of the sights may be weather dependent and we might alter the way. 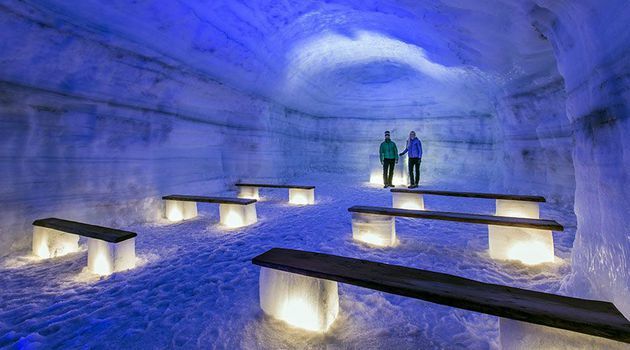 An amazing day of everchanging landscapes as you head west to explore the famous man-made ice cave. 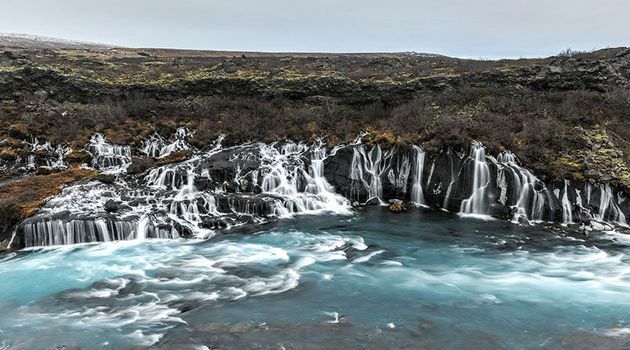 We let the weather decide our route, as we jeep through the beautiful scenery of the West, including glacial valleys and waterfalls, before heading for Iceland’s most treasured site: Þingvellir National Park.For this tour we head west. We head west on a fairy-tale journey through Iceland‘s otherwordly landscape in order to explore the famous man-made ice tunnel in Langjökull (entrance to the tunnel is included in the price). Although tunnels are often associated with bad things: tunnel vision, Chilean mine tunnels, etc. – this one is a true wonder. Given that our mantra is safety first: we tailor our trip to suit the weather and the road conditions (although the sights are to die for, we do not actually want our customers to die on the tour). 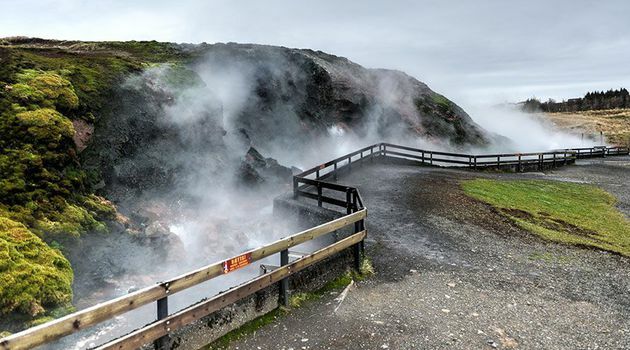 Besides the glorious ice tunnel, we visit the Hraunfossar waterfalls; stopover at Deildartunghver, Europe’s most powerful hot spring; linger at the Reykholt medieval church center, which was home to one of Iceland’s most famous historical figures: Snorri Sturluson (Snorri was the author of the Prose Edda and spoke the famous last words “You shall not strike!” – before actually being stricken to death); and finally, we jeep through glacial valleys and end our journey at Iceland’s most beloved site: the Þingvellir national park, where Iceland‘s parliament was founded in 930. Come explore west Iceland with us – our way, safely, but joyously.